Number 12 for 2016 on my favourite things blog. Each month giving you things that I use to help me feel SUPER – either mentally, physically, emotionally or spiritually. 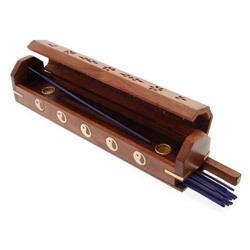 I love using an incense stick to help relax me or create some kind of atmosphere. And I love having the stick burn in a box, as opposed to the regular looking stands. It helps disperse the smell all over, and keeps all the ash in place. The last few decades have seen thousands of new chemicals introduced into our products. From cleaning, to body washes and everything in between. These chemicals now pollute our water supplies and more importantly our bodies. Have you ever considered that what you put on your skin, hair or even household items, ends up in your body. 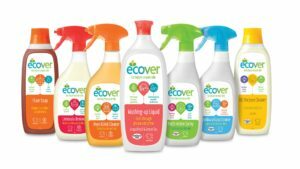 That’s why I like to use the non-toxic cleaning supplies, like Ecover. Kinder to you and the environment. Most main chain supermarkets just stock chemical junk. Worth spending a bit of time researching some brands which are safer to use. I am currently with Ecover. I measure my weight from time to time. Always at the same time of day (immediately after waking), and like to include a body fat reading. 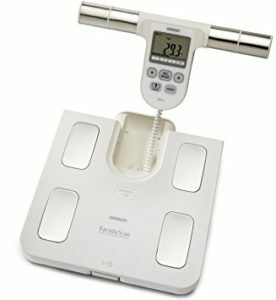 Sure, the scales out there aren’t necessarily the most accurate, but if you use the same ones all the time, it will give you a general direction. You can’t manage what you don’t measure, so having some indication is good. These scales allow for you to hold on via the hand too which means it’s a slightly more accurate reading than just on the feet. 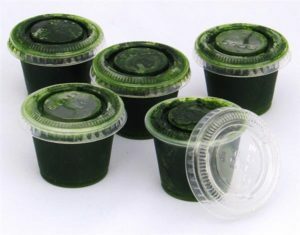 I have some frozen wheatgrass shots in my freezer ready to go. Wheatgrass is a highly nutritious way to get around a kilo of vegetables (equivalent) into your body in one shot. It’s so nutrient dense, and great for energy, removing toxins, and a host of other benefits. While I prefer to have fresh wheatgrass, having some frozen ones in the freezer can help on those occasions I feel I need something extra. Maybe I’m not going to have time to juice, or I feel like I might be getting worn out with work or late nights – the festive season. I’m an active kind of guy. I like to cycle to town, take steps two at a time, get on the floor and play with my nieces. And sometimes, wearing jeans or regular trousers just doesn’t cut it. 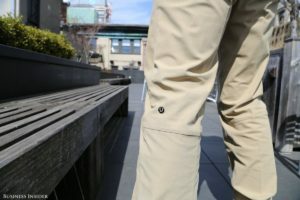 These trousers by athletic brand lululemon really help because they look smart, but are super stretchy and allow for free movement. I really notice the difference when I cycle or walk up the stairs in them. They look smart which means I can be on stage speaking and feel unrestricted in my movements. Or I could cycle to town and have a meeting and still look pretty smart. Worth the ridiculous price. What do you think about these items or the others on my Favourites list?